Peter Lougheed, the former Alberta premier who became the face of an emergent West in the 1970s and 1980s and transformed his province from a largely rural economy to a global energy powerhouse, has died. Lougheed died peacefully in the hospital that bears his name in Calgary Thursday night from natural causes. His family said in a statement that they would like to thank all the professionals at Alberta Health Services who have helped care for him over the last months and days. Premier from 1971 to 1985, Lougheed not only presided over the development of Alberta's massive oil and gas resources, he also pushed, at every conceivable opportunity, for Alberta and the West to be at the centre of national decision-making. By the time he retired, the hated (to the West) National Energy Program was being dismantled, his chosen amending formula (symbolizing equality of the provinces) was entrenched in the Constitution and Alberta's place at the main table, indeed as a central driver of the Canadian economy, was secure. Along the way, he turned what had been a backwater provincial Conservative party into a political dynasty, outlasting his own considerable personality as well as the 35-year-old Social Credit party that he supplanted in 1971. A lawyer and Harvard-trained MBA who was a devotee of flow charts and long-range planning, Lougheed famously clashed with Liberal Prime Minister Pierre Trudeau over wage and price controls, the National Energy Program and patriation of the Constitution in the early 1980s. What is less remembered is that he honed his tough negotiating style on American oil executives prior to taking on Liberal Ottawa. One of the first big legislative initiatives of the Lougheed government was to raise provincial royalties on its then-growing energy sector. The big oil companies were outraged and threatened to withdraw from the province. But the Lougheed government stood its ground and then used its newfound wealth to build hospitals and a professional civil service. For good measure, it also bought Pacific Western Airlines, alienating some of its free enterprise supporters but ensuring a strong Western transportation hub based out of Calgary. 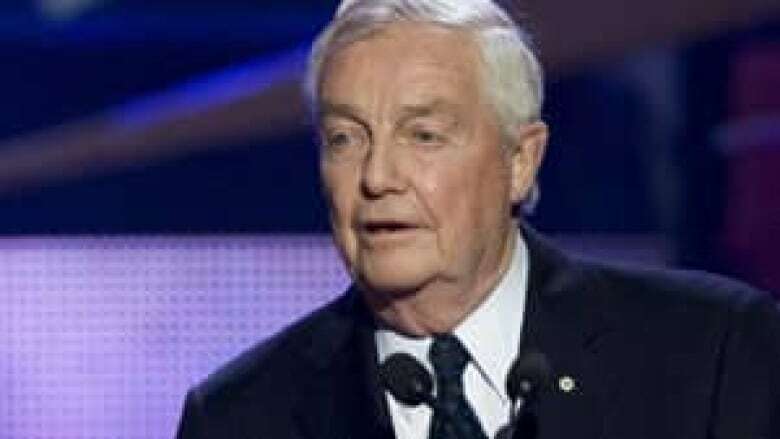 Born in Calgary in 1928, Lougheed emerged from a privileged, political background, although by the time he came on the scene much of the family wealth had been lost in the Great Depression. His grandfather, Sir James Lougheed, was a cabinet minister in R.B. Bennett's Conservative government and was a key figure in the province's entry into Confederation in 1905. There is an apocryphal story of young Peter, aged 11 or 12, hiding in his grandfather's former mansion as it was being auctioned off for debts and vowing to restore the family's good name. Lougheed used to acknowledge the story from time to time, but played down its significance. He recalled his childhood as happy and middle class, with lots of sports and family affection. As a young man, Lougheed studied law and humanities at the University of Alberta. Only about five foot six, he was nonetheless a talented athlete who played varsity football and even two seasons of pro ball with the Edmonton Eskimos, in 1949 and 1950, running back kicks. After receiving an MBA from Harvard, Lougheed took a job as general counsel for Mannix, one of Alberta's biggest and most aggressive construction firms, before co-founding the private legal firm Lougheed, Ballem and McDill in 1962. By the mid-'60s, Lougheed had developed a taste for politics. In 1965, he was elected leader of the Progressive Conservative Party of Alberta at a convention attended by all of 400 people. He won the Calgary-West riding in the 1967 provincial election, along with five other, somewhat surprised stalwarts, and the six became the province's Official Opposition. On Aug. 30, 1971, Lougheed made Alberta history when his party took 49 of 75 seats, becoming the province's first Conservative government and ending 35 years of Social Credit rule. In the three subsequent elections — 1975, 1979 and 1982 — the Lougheed Tories increased their popular vote and their majority. The '82 election, on the heels of both an energy and constitutional deal, saw them take 75 of the province's 79 seats. In 1976, flush with new oil wealth, he established the Alberta Heritage Fund, which diverted revenues from non-renewable resources to invest in things like medical research and business development. The Heritage Fund was the result of an almost casual suggestion from Trudeau, Lougheed once said, because Alberta's new royalty wealth was putting a strain on equalization and other federal-provincial programs. At the time, Lougheed and his government were often referred to as Canada's "blue-eyed sheiks" because of the oil money Alberta was accumulating. But in response to the global oil-price shocks of the 1970s (when Arab producers set an embargo to protest American involvement in the Yom Kippur War), Ottawa sought to make Canada energy independent and put greater control of petroleum resources in federal hands. The West, however, saw the NEP as a tax grab, a way for Ottawa to enrich itself on Alberta's bounty and Lougheed memorably went on television in 1980 to announce that Alberta would reduce its production to 85 per cent. This bold salvo — turning down the taps, as it was seen — eventually led to the negotiation of a federal-provincial pricing and revenue-sharing agreement in 1981, in the midst of the constitutional negotiations. By then, Lougheed had become a key player in the talks surrounding the patriation of the Constitution from Britain and the establishment of the Canadian Charter of Rights and Freedoms. He and Quebec's Rene Levesque, the symbols of Western alienation and Quebec nationalism, were the acknowledged powers behind the so-called Gang of Eight premiers opposing Trudeau. The two premiers, both self-made men, had developed a close rapport during the stand-off. But they had a strategic falling out during the final negotiations in November 1981 and Lougheed seized the moment to insist on his amending formula for the Constitution and agree to a notwithstanding clause, which would enable Parliament or provincial legislatures to overrule certain aspects of the charter. In the end, only Quebec was left outside the deal and its anger at some of its one-time provincial allies, Alberta in particular, was palpable. Lougheed retired from politics in 1985, but still kept a fairly public profile for a while. In 1986, he was made a companion of the Order of Canada. In 1987, he was tapped by then-prime minister Brian Mulroney to help negotiate the North American Free Trade Agreement (NAFTA), and from 1991 to 1996 he co-chaired the Canada-Japan Forum. After leaving public office, Lougheed went to work for a number of corporate boards, including the Royal Bank of Canada and the Carlyle Group. In the 1990s, he moved into the non-profit sector, and served as chancellor of Queen's University in Kingston, Ont. from 1990 to 2002. Although a huge proponent of Alberta's oil and gas resources, Lougheed expressed concern in the 2000s with the hasty development of the oilsands, which he felt was coming at the expense of proper infrastructure and the settling of environmental issues. He also registered his concern at the increasing pressure the U.S. was exerting on Alberta to guarantee its oil supply and in 2011 came out against the proposed Keystone XL pipeline to the U.S., on the grounds that Alberta should be refining the heavy oil from the oilsands itself and then exporting the finished product. In a 2004 speech, Lougheed insisted that Alberta's most important resource was water, not oil and gas, and suggested that Canada should resist all demands to export its water south of the border. Lougheed is survived by his wife, Jeanne, and their four children.